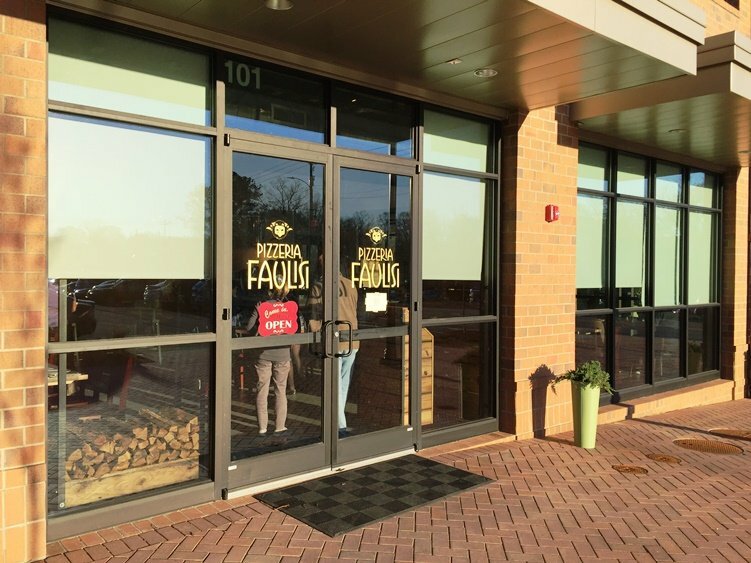 First Take: Pizzeria Faulisi in Cary Raises the Bar on Neapolitan Pizza for the Triangle! 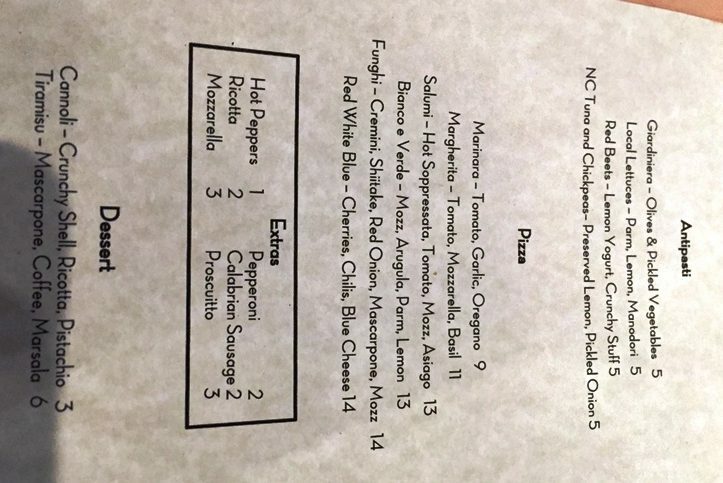 As a pizza aficionado, I am so glad to be seeing all the high-quality pies that have come to the Triangle over the past two years! While we always had good NY thin-slice pizza, Neapolitan was always sort of rare but not any more! 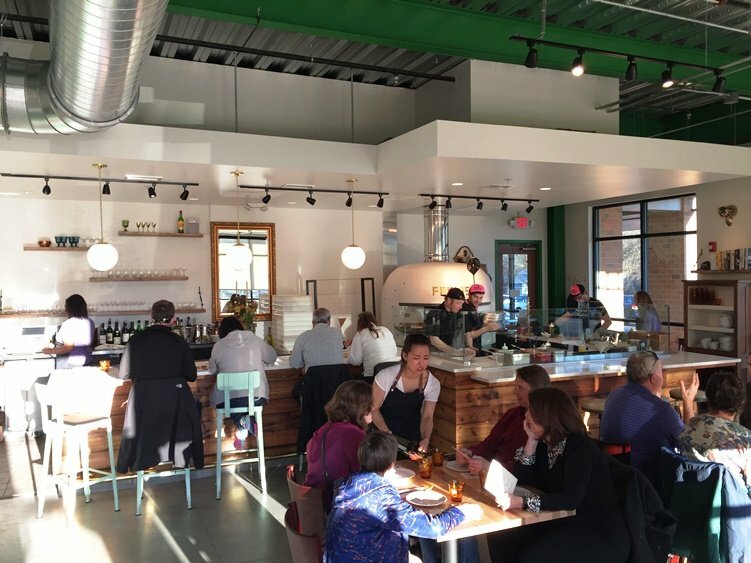 And the recent addition of Pizzeria Faulisi in downtown continues that pleasant trend. 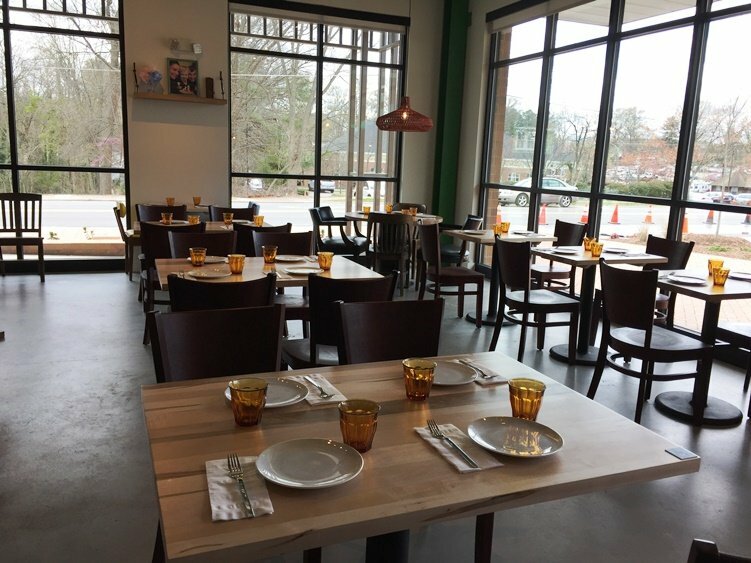 Located right next to Bond Brothers Beer Company, you can now get some wonderful beer AND pizza in this new block in Cary. Let’s go check out Pizzeria Faulisi! From the outside, Pizzeria Faulisi is pretty unassuming. Large windows wrap around this corner location letting a lot of sun shine, inside. The space is modern and clean with whites, greys and woods, giving off a modern pizzeria feel. The small bar in back by the pizza oven will work for single diners and you can watch all the action from the busy pizzaiolos throwing down the pies. Pizzeria Faulisi opens up at 5pm and by 6pm the dining room is filled with hungry Caryites, I guess they already know about the place even though it’s only been open for a week or so! The menu at Pizzeria Faulisi is thankfully really short which makes for much quicker meal decisions! 4 appetizers, 6 pizza styles (some additional toppings) along with a couple of desserts. All the pizzas are in the $9 to $14 range and served up as individual pies, the traditional Neapolitan style. 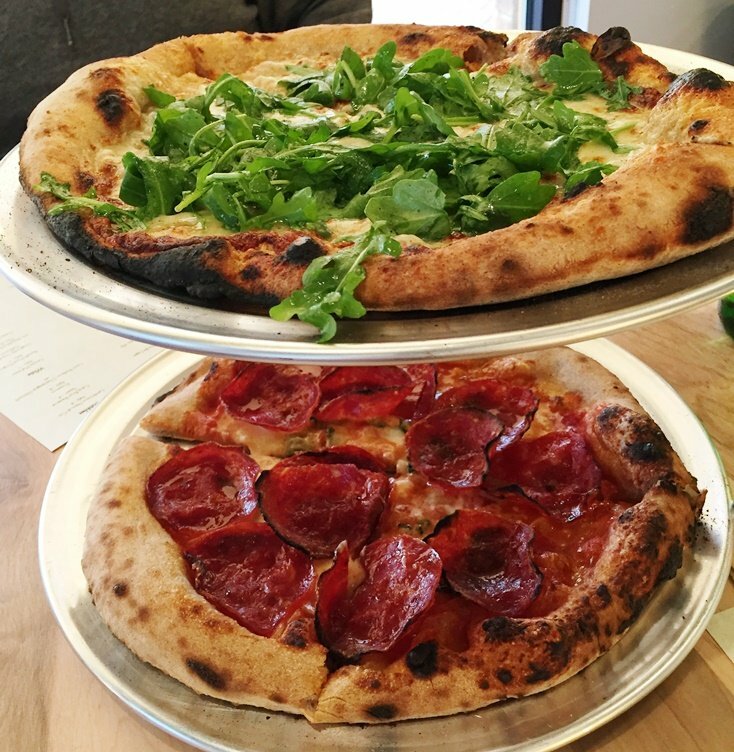 We go with three pies to get some flavors: the classic Margherita, Bianco e Verde (vegetarian) and Salumi (meat). And now the wait and salivating begins… Note: Pizzeria Faulisi also has beer and wine available by the glass. Looking around the dining room you can get a real feel for the Cary crowd. 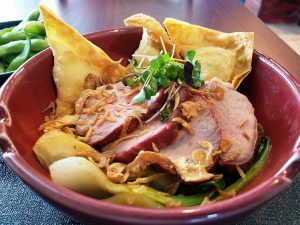 It’s a mix of young families, couples and more senior types who enjoy good food. With about 50 or so seats inside, it’s impressive that they can feed their guests all from one pizza oven but those pies cook up quick given the 800 degree temperatures! The pile of wood in back tells you all you need to know about that oven. 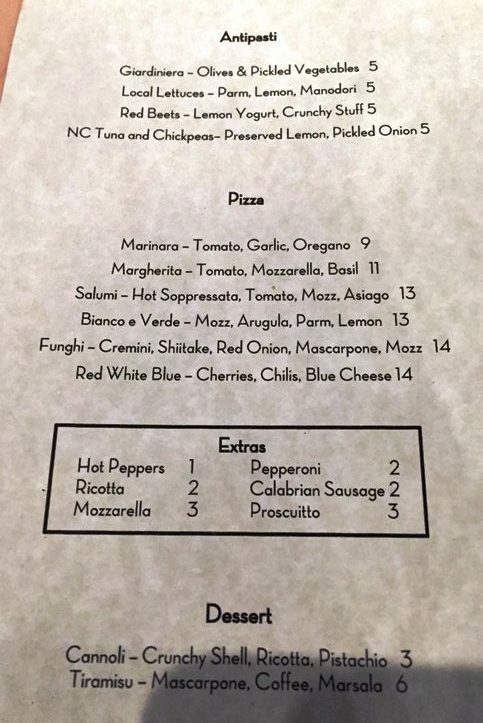 Some day maybe we’ll have a coal fired pizza place in the Triangle, eh? The food comes out pretty quickly given the busy Friday crowd, maybe 15 minutes or so. We’re started off with the two fancier pies, the bianco e verde, a white pizza with mozzarella, parmesan, arugula and lemon and the salume with soppressata, mozzarella, tomato and asiago. 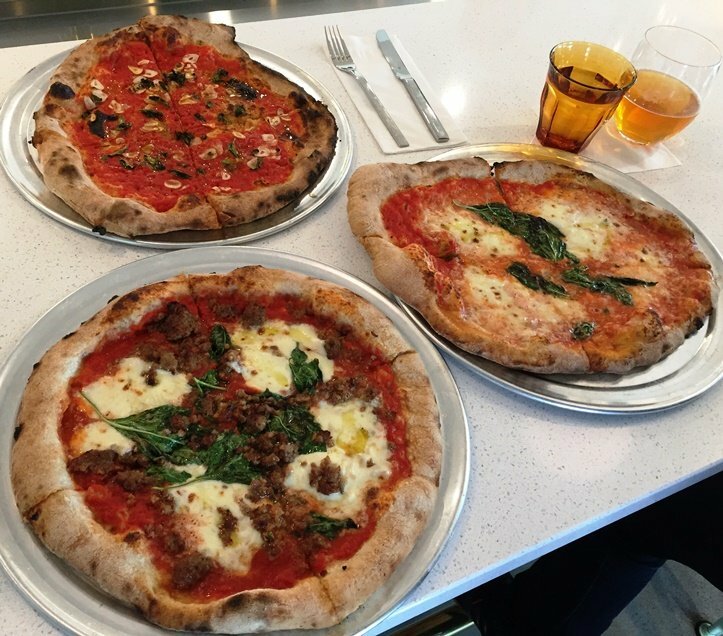 The pies at Pizzeria Faulisi are about 12″ in diameter and about right for one person. Toppings are plentiful on both pies. I start with the salume which has a slightly charred cornicione (crust). Up top the soppressata has been nicely singed resulting in crispy, upturned edges. It’s a delicious pie with a good balance of meat, cheese and sauce. A quick under the crust shows of a nice and evenly charred bottom. 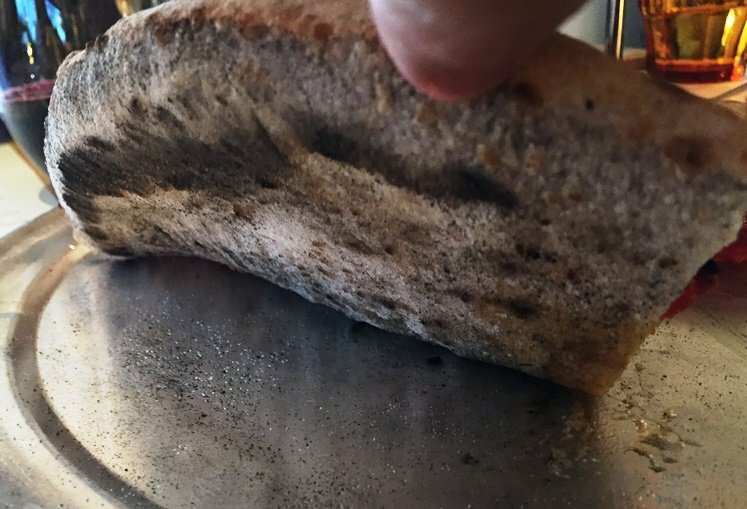 According to their website, Pizzeria Faulisi uses a mix of 00 Italian flour along with local Boulted Bread flour. Which is different but it totally works for me! The crust here is amazingly tender and supple which is a great sign of a talented pizza place. The white pizza is also excellent, a nice change from the typical tomato based pie and it shows off the quality of the cheeses on top. Next up is the base margherita pizza. 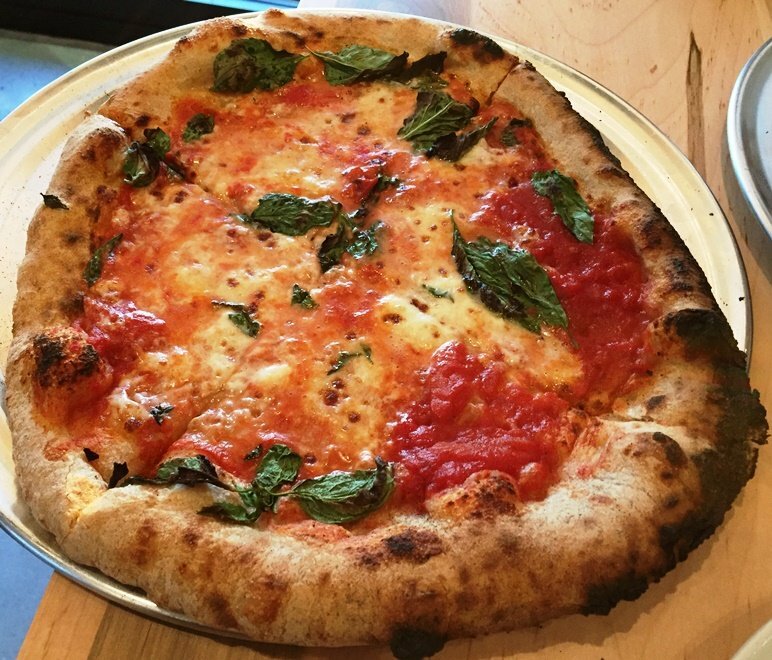 The margherita is really what you should use to judge a Neapolitan pizzeria given it’s as basic as you get. And Pizzeria Faulisi does an excellent job here with fresh crushed tomatoes, mozz and plenty of basil! Their pizza really shines here in its most basic configuration which is a challenging test to pass. Their crust, which I believe is the key to most pizza, is some of the best I’ve had in the area and probably beyond the Triangle, too! 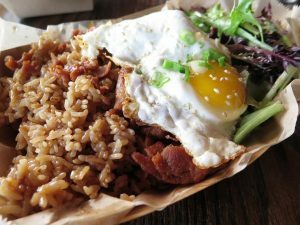 It has just the right mix of texture, chew and flavor which works so well as the base of a pie. Service at Pizzeria Faulisi is solid. They’ve got a young crew here but they seem pretty well-trained even if they may not be super experienced. So congrats to Pizzeria Faulisi for a very smooth start and delicious eats right out of the chute. 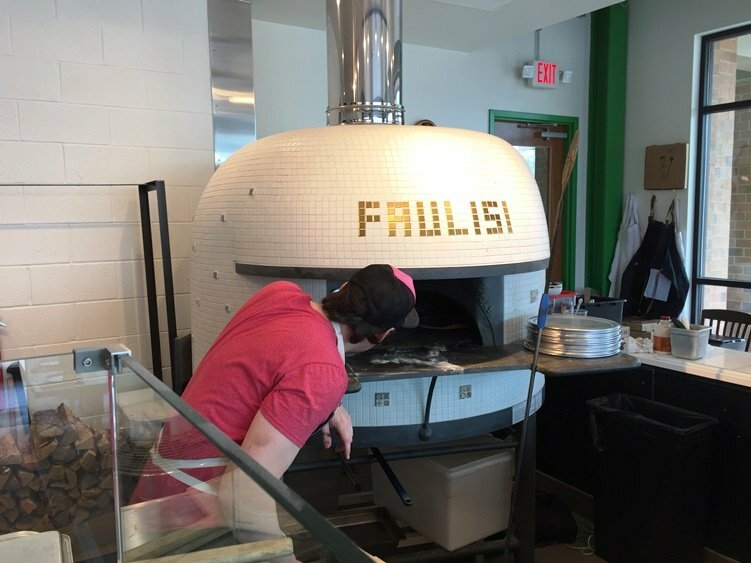 From the decor to tight menu and excellent pizza, I’m pretty sure if you’re a fan of Neapolitan pizza, you’ll be a fan of Pizzeria Faulisi. Just curious to see what changes and additions they make as they mature and get some experience on that beautiful wood-fired oven!